A sweeping House Republican plan to overhaul the nation’s tax laws would wipe out a slew of popular tax breaks to help pay for lower overall tax rates, a politically risky move in an election year that drew quick opposition Wednesday. The plan would repeal deductions for state and local taxes, medical expenses and moving expenses. Tax credits for child care, adoption services and energy-efficient upgrades to homes would be gone. The mortgage interest deduction would be reduced for people buying houses costing more than $500,000. The plan borrows ideas from President Barack Obama and other Democrats. But here’s a reality check: It has almost no chance of becoming law this year. Even House Speaker John Boehner, R-Ohio, distanced himself from the details Wednesday. “Any proposal that eliminates the deduction for state and local taxes, as the Republican plan would do, is dead on arrival,” said Sen. Chuck Schumer, D-N.Y. Under the plan, investment managers, big banks and owners of corporate jets would get hit with new or higher taxes, billions would be set aside for public works projects, and some wealthy business partners would no longer be able to avoid Medicare taxes. Those are ideas championed by Obama, who would direct the new revenue toward more government spending. Republicans, meanwhile, would use it to lower income tax rates for most families and corporations. The top income tax rate would drop from 39.6 percent to 25 percent, but the plan would impose a new 10 percent surtax on some earned income above about $450,000. The top corporate income tax rate would fall from 35 percent to 25 percent. The plan would increase the standard deduction from $12,400 to $22,000 for married couples, essentially exempting families that make less from paying federal income taxes. The child tax credit would be increased from $1,000 to $1,500. The plan is designed to encourage more taxpayers to take the simpler standard deduction rather than itemizing. As a result, 95 percent of filers would take the standard deduction rather than itemize, according to analysis by the nonpartisan Joint Committee on Taxation. Currently, about one-third of filers itemize their deductions. It would mark the first overhaul of the tax code since 1986. The plan is designed to raise about the same amount of tax revenue as the current system, though the overhauled system would be much simpler. It also is designed so that different income groups continue to pay about the same as they do today. 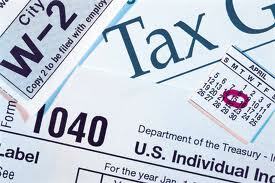 Individual taxpayers could see big changes, depending on their circumstances. Taxes on investments would be cut. But, Camp said, a generous tax break enjoyed by investment managers, known as “carried interest,” would be eliminated. Huge banks with more than $500 billion in assets would be hit with a fee. Corporate jet owners would have to wait longer to write off the cost of buying them. Camp said the plan would eliminate a provision that allows wealthy entrepreneurs and other professionals to avoid Medicare payroll taxes by setting up corporations and accepting the bulk of their compensation as business income instead of wages. The plan would shore up the cash-strapped Highway Trust Fund by dedicating $126.5 billion in corporate tax revenue to the fund over the next eight years. The fund, which pays for infrastructure improvements, faces annual shortfalls. OMG! The accounting lobby would never allow this. A simplified tax code might allow ordinary people do their own taxes as in many years past and put some accountants out of business! This actually drastically helps the lower-middle class! Truth is, it’s 6 of one, 1/2 a dozen of the other, just alot of noise, very little negative tax impact. The people being hurt the most are the accountants/tax preparers who would have to learn another tax code! This would be a massive tax cut for the wealthiest Americans and a huge tax increase for the middle class. Those of us who live in places with high local taxes and high housing costs would be particularly hard it. Charlie is correct (as usual). The elimination of these deductions will do nothing for the deficit (which has been cut by more than half already), and will only increase the burden on the middle class who rely on these tax credits every years, both for living expenses and as incentives to buy a home, get a better job, etc. I agree that a simpler tax code would be nice, but don’t do it on the backs of the middle class.